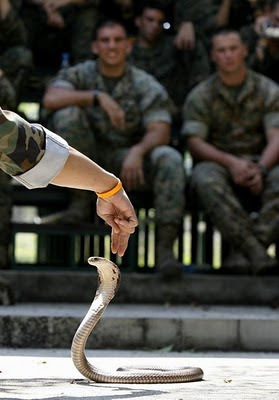 Cobra Gold is the largest multi-nation military exercise in the world, where soldiers from six nations learn how to deal with critical situations. 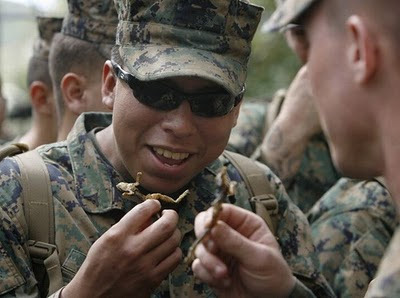 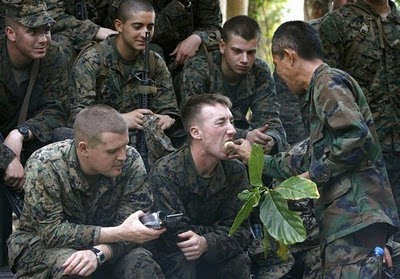 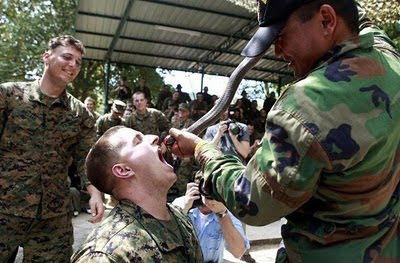 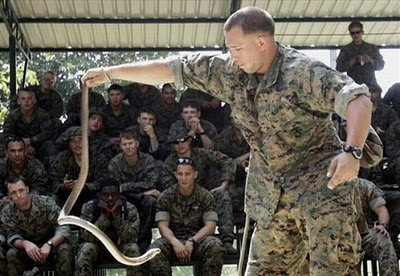 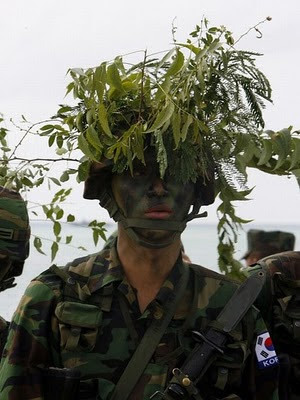 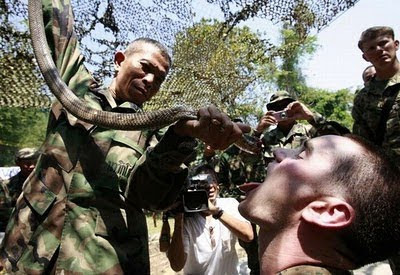 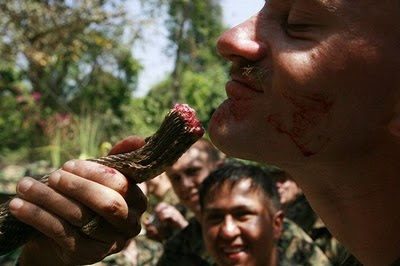 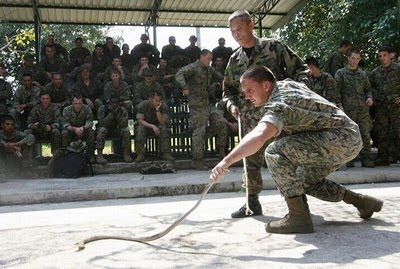 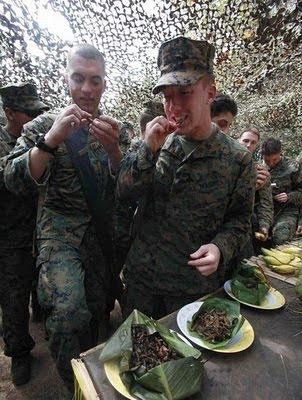 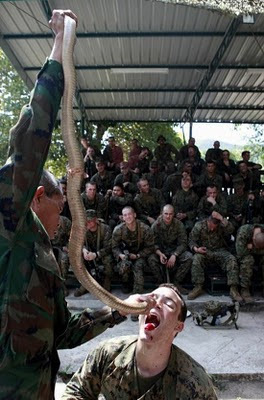 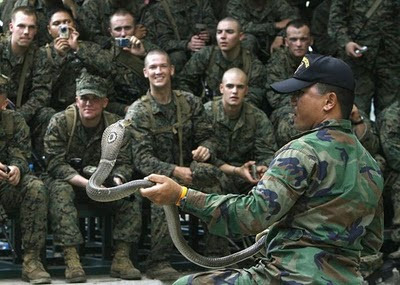 In 2010 the Cobra Gold military exercises are being held in Thailand, and this was apparently a chance for US soldiers to get acquainted with Thai delicacies. 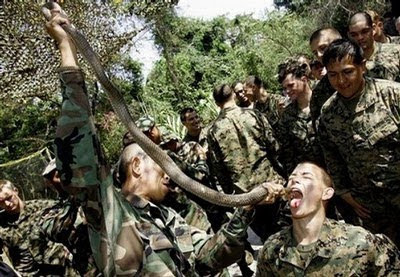 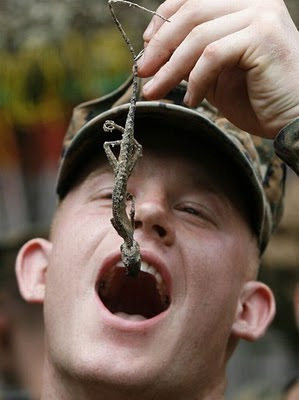 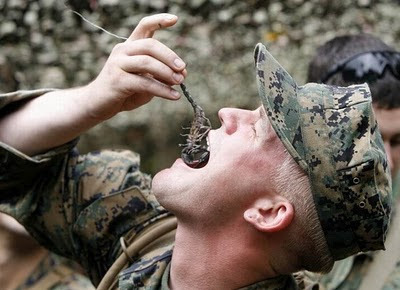 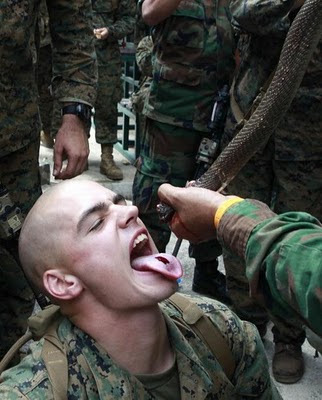 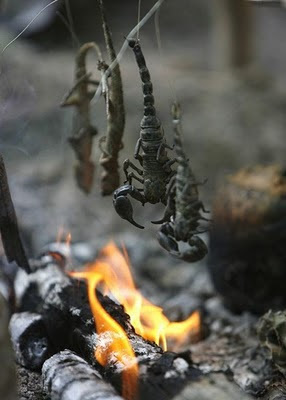 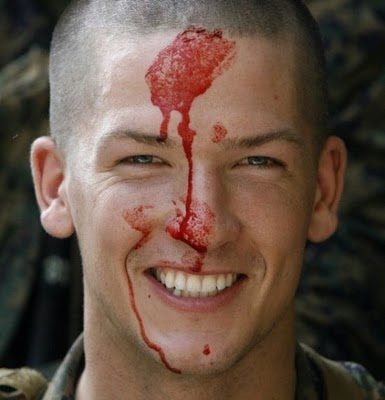 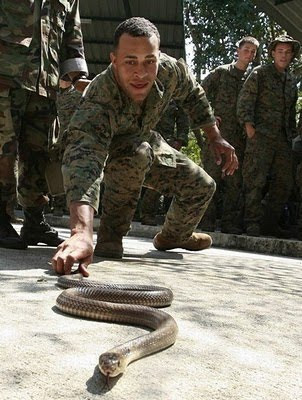 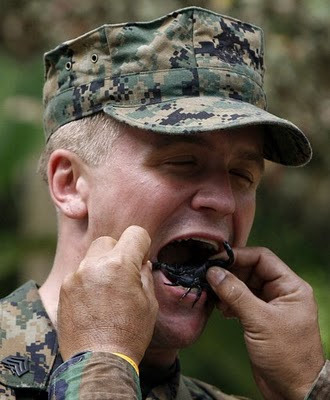 During a survival exercise at an army camp in Chon Buri Province, soldiers had to eat cooked scorpions and lizards, as well as drink that legendary wonder cure, cobra blood.